Liberals worldwide invoke Scandinavia as a promised land of equality, while most conservatives fear it as a hotbed of liberty-threatening socialism. But the left and right can usually agree on one thing: that the Nordic system is impossible to replicate elsewhere. The US and UK are too big, or too individualistic, or too . . . something. 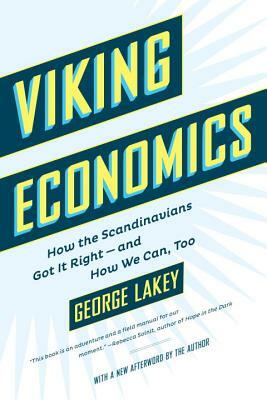 In Viking Economics—now with a new afterword by the author—George Lakey dispels these myths. He explores the inner-workings of the Nordic economies that boast the world’s happiest, most productive workers, and explains how, if we can enact some of the changes the Scandinavians fought for surprisingly recently, we, too, can embrace equality in our economic policy. GEORGE LAKEY is Visiting Professor at Swarthmore College. He is the author of many books and articles and has written for Waging Nonviolence and Common Dreams, among other publications.